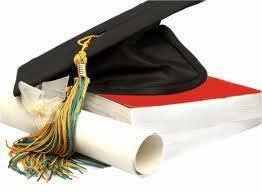 List of the Universities in September 2014 - We are The British College. Our students make the future. LIST OF THE UNIVERSITIES THAT THE GRADUATE STUDENTS OF THE 2013/2014 ACADEMIC YEAR, HAVE JOINED. In the 2013/2014 academic year, once again 100% of our year 13 students gained places at Universities for entry in September 2014. Bilal Ahrouch: BSc. Sports Studies in Westminster College , in London. Blanca Fernández Jiménez: BSc. Pharmacy in Granada University. Sandra Gaspar Gallego: Industrial Design and Product Development Engineering in Málaga University. Paula Guerrero Fischer: BA. Politics in the Politecnic University, in Madrid. Phoebe Lilius: BSc. Physics in Cambridge University. Marina Navarro Martín: BA. Education in Málaga University. Sam Parry: Accounting & Finance in Sheffield Hallam University. Natalie Porter-Bird: BSc. Biology in Southampton University. Katja Putseys: BA. Conflict Studies & International Politics in Belfast University. Jodie Styles: BSc. Zoology in Macclesfield University. Kiefer Whitaker: BA. Politics & International Relations in Kent University.